As many of you will be aware, we will be hosting ICCDU 2016 in our new multi-disciplinary building, the Diamond. As the Diamond has now been open for the last three months, we thought we would take this opportunity to tell you a bit more about the new addition to the Engineering family. 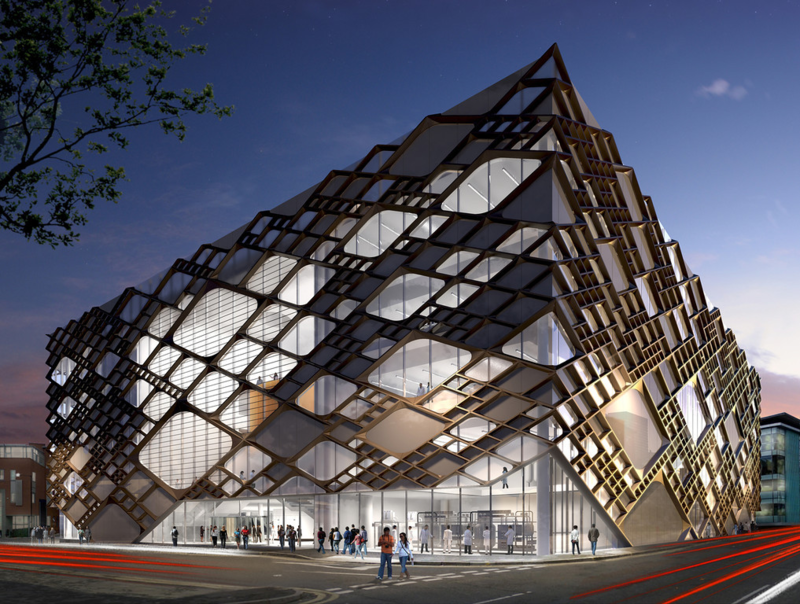 The Diamond is the University of Sheffield’s most recent investment, costing £81 million to build. The Diamond is a multi-disciplinary building with a focus on specialist engineering teaching facilities such as labs, computer suites with the latest engineering software technology and 3D printing workshops. It was designed to offer students a practical and enhanced learning experience in a modern and comfortable space. The building also comprise of a café, library and lecture theatres, many of which will be in use during ICCDU2016. 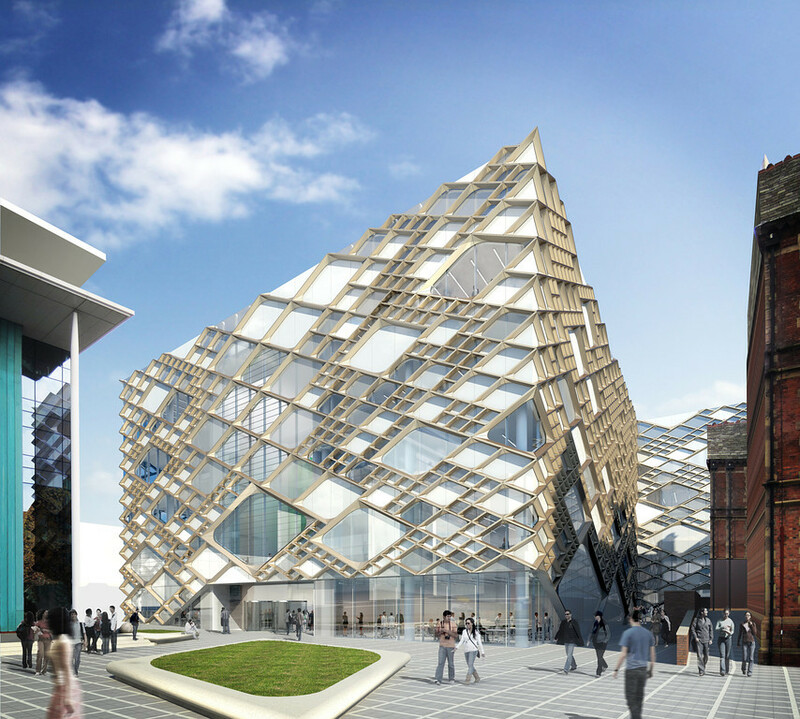 The Diamond has had a massive impact on the Sheffield economy, contributing over £44.5 million alone in construction as well as creating over 400 permanent jobs at the University alone. The University is proud of this achievement and the fact that the Diamond will contribute another £20 million annually to the local economy. On arrival, you will need to enter the Diamond on the Leavy Green Road side as this will be where registration will take place. We will be there to welcome you and our student ambassadors will be on hand to answer any questions that you may have about the conference. After you have registered, you are free to explore the city but you will need to back in time for the coaches to drop you off at our first event, drinks at Kelham Island. We will continue to use the Diamond throughout the conference and the main lectures will take place in Lecture Theatre 1 which can be accessed both through the ground and lower ground floor entrances. The smaller lecture theatres which can only be accessed through the lower ground floor will be where the plenaries are held. The poster presentations that we will be hosting during the week will also be held on the lower ground floor. Although tea and coffee will be served regularly throughout the day, the café facilities will be open through out the day if you fancy something a bit different. Lunch and snacks will be laid out in workrooms 1 and 2 which are situated next door and across from Lecture theatre one on the ground floor but you are welcome to take food outside into the Exhibition areas. There will be a range of exhibitors on the both the ground and lower ground floor and you are encouraged to visit these at your leisure. The exhibitors will be there for the duration of the conference. The Diamond is easily accessible and is equipped with a lift and has disabled access for those who need it. If you would like further information on the Diamond’s accessibility please click here. If you have any more questions about the Diamond or would like more information, please do not hesitate to ask. Alternatively, much of the information on the Diamond can be found here. Yay or nay: Which of these typical British traits are right?